Do you know that Great Dane in home has its pros and cons. Do you know that he needs a proper care and attention to grow up healthy and strong? 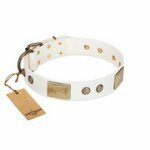 Great Dane is a large dog breed so you will need to be more cautious in keeping such a type of dog. He is like your baby and requires a serious responsibility and dedication. 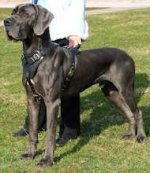 Of course, being a large dog breed, the needs of Great Danes, including shelter, food, water, grooming, and veterinary care, are bigger than the smaller-sized breeds. But, inspite of its dimensions, it is not necessary to have a large house for Great Dane. This breed can even live in apartments. So, if you are already the owner of this wonderful dog breed, or just plan to get it, please, spend a few minutes to read our newsletters and to learn a lot of useful information about your favorite Great Dane dog breed. As you know Great Dane is a big and strong breed. 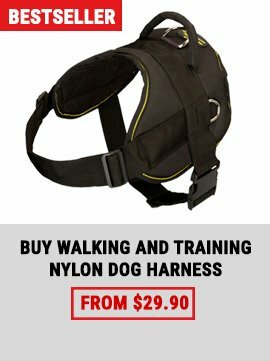 So this dog breed needs an appropriate harness. Our store has such one. 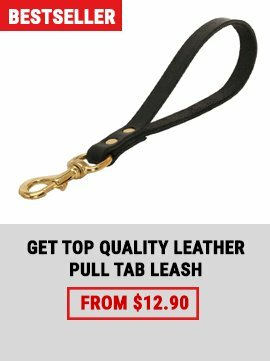 We offer you Unique Durable Leather Harness for your beloved pet. 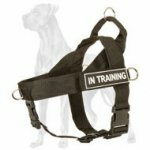 Choosing this Luxury Dog Harness you ensure for your dog a daily comfort, safety and pleasant workouts that will be enjoyed from now. Read the following descriptions and you will not have any doubt. A leash is an important and necessary dog accessory. 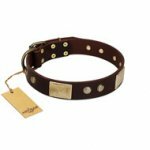 Sometimes it is a leash that can save your doggie’s life. So as you see it is an essential and very important supply. Our craftsmen do take care about our customers. 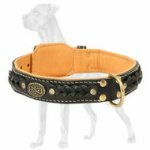 So they have created this Durable Braided Leather Leash for Your Great Dane. 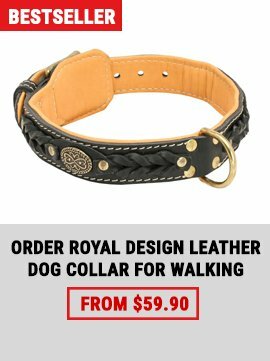 Now you can enjoy your safe walking with your pet.